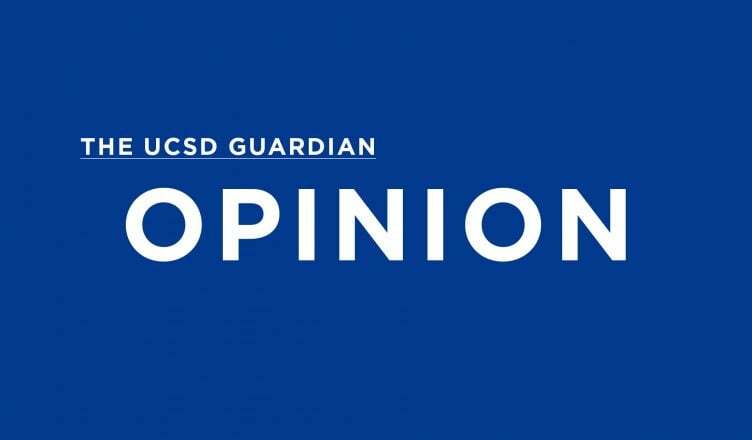 Throughout our years at UC San Diego, we all have or will encounter coursework that falls under the category of Diversity, Equity, and Inclusion. However, what many of us do not know is that DEI was originally created in response to the Compton Cookout. This racist event hosted by several fraternities in 2010 that involved students dressing in black face, or in stereotypically “ghetto” clothing, sparked outrage that led to mass protests on campus. Out of this, DEI was born with the intent to eliminate bigoted ideologies from students. Students seven years later, however, seem apathetic toward the message of empathy that DEI was supposed to provide. In October, Identity Evropa, a white supremacist group, hung racist banners outside of Price Center. Then, in November, a student went in to an online midterm study guide for a computer science course and put the N-word in it 86 times. Neither of these instances sparked massive and immediate outrage from either students or the administration. While Dean Al Pisano of the Jacobs School of Engineering did serve as a representative to the university by condemning the incident via email, it is clear that, for the administration, actions speak louder than words. DEI is currently doing a disservice to minority students by failing to meet its educational goals due to lax standards and poor organization. As shown by the apathetic response of students toward those two racist events, it is clear that DEI courses have yet to instill an appreciation for diversity in students. This is because the courses currently offered under DEI fail to humanize the marginalized groups who suffer from these racists ideologies. The student felt that inserting the N-word into the study guide caused no harm to other students. One student, who was interviewed about their time in the course, disagreed. He said that he has seen women and people of color face the same criticism and ignorance when taking CS courses, pushing them away from the field. It is clear that the administration must significantly alter the DEI program if it is to tackle the racial tensions present on campus. Despite the shortcomings of DEI, UCSD still has the ability to align itself on the right side of history, as was its original intentions. However, several changes must be made in order for this alignment to occur. First and foremost, the administration must require students to take DEI more seriously. The fact that students can take their DEI requirement for pass or no pass is symbolic of the university’s disingenuous approach to combating bigotry. Enforcing the letter grade option as a standard compels students to stay engaged with the material, whereas the pass or no pass option permits students to pay the bare amount of attention. Most importantly, DEI must encourage empathy. One of the best ways to instill empathy into students’ psyche is through a combination of lectures that provide historical context and discussion sections that allow for a more personal approach to understanding the human consequences of bigotry. Discussion sections can provide this by allowing students, faculty, and members of the community to have a space where they can share their personal stories and experiences with bigotry to students currently taking the DEI requirement. Also, discussion sections offer a platform where teaching assistants can explore the figures that directly impacted the historical changes introduced in lecture. By doing so, this will humanize the issue of bigotry because it will allow students to see just how drastically marginalizations can affect one’s life. This approach already takes place on campus. As a part of the Thurgood Marshall College graduation requirements, students must take the Dimensions of Culture series. DOC 1 is appropriately named “Diversity.” Here, students learn a more complete history of the United States, as the struggle of many minority groups in the fight against white supremacy is the foundation of the coursework. Further, students are encouraged to share their own experiences with bigotry, both in the classroom and in written assignments. If UC San Diego standardized a DEI course in the likeness of DOC 1 across all six campuses, the administration would be taking responsibility for the current apathetic mindset of the student body by recognizing that harmful misconceptions are still prevalent in society. At the end of the day, DEI is meant to serve as a medium to facilitate the discussion about bigotry and empathy. The idea of challenging bigotry is not “social justice” run amok; it is imperative to remember that, despite political leanings, these biases against minority groups come with real human consequences. Further, we can not be afraid to tell people that they are wrong. Opinions rooted in the marginalization of other people must be confronted. By doing this, we are recognizing that bigotry is a human rights issue of drastic proportions. When we look at the amount of African Americans wrongfully murdered by the police, the amount of lower class citizens who are shamed for their socioeconomic status, or the countless cases of harassment toward LGBTQ+ students, it is clear that a complacent approach to bigotry is no longer an option. By revising the DEI requirement, with its focus placed on humanization, the administration would be taking steps in the right direction for both educational and social change. I hope this paper reaches the eyes of administration. As an alumn I witnessed the apathy UCSD has towards most things. It’s a shame. Thank you Guardian for calling this stuff out.